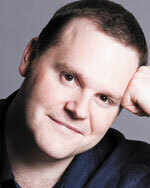 Roland Wood was born in Berkshire and studied at the Royal Northern College of Music and at the National Opera Studio. He was the winner of the Webster Booth Prize and the Frederick Cox Award, and was also awarded Second Prize in the Kathleen Ferrier Memorial Awards. Roland made his debut for Glyndebourne Festival Opera playing Nick Shadow in The Rake’s Progress conducted by Sir Mark Elder, with debuts at Scottish Opera and English National Opera soon after. He was a Company Principal at Scottish Opera, with productions including Strauss’s Die Fledermaus, Verdi’s Rigoletto and Mozart’s Die Zauberflöte. In 2003 Roland was the English entrant for BBC Singer of the World in Cardiff, where he was a semi-final winner. He has performed regularly with all of the UK’s leading opera companies, including the Royal Opera House (Falstaff), English National Opera (La Bohème, The Magic Flute and The Marriage of Figaro) and Scottish Opera (Intermezzo and Il Trovatore). Further afield, he has performed with the Nederlandse Reisopera (Un ballo in maschera, La Traviata and Lucia di Lammermoor), the Canadian Opera Company (Un ballo in maschera and Rigoletto), the Opera Theatre of St Louis (Macbeth), Michigan Opera Theatre (Rigoletto) and Santa Fe Opera (La Traviata). He sang the title roles of Bunyan and The Pilgrim in an acclaimed new production of Vaughan Williams’s The Pilgrim’s Progress, and also created the leading role of Oedipus in the premiere production of Julian Anderson’s Thebans, both at the ENO. Roland has also featured often on the concert platform, where highlights include Tippett’s A child of our time with the Hallé, Berlioz’s L’enfance du Christ with the English Chamber Orchestra, Donizetti’s Il Diluvio Universale with the London Philharmonic and Bernstein’s Candide at the Edinburgh Festival. He sang in Mahler’s Symphony No 8 at the Royal Festival Hall with the Philharmonia under Esa-Pekka Salonen and toured Beethoven’s Symphony No 9 in Belgium with the Flanders Symphony. Most recently, he has played Golaud in Pelléas et Mélisande (Scottish Opera, directed by Sir David McVicar), Scarpia in Tosca (Grange Park Opera and the Staatsoper Stuttgart) and Renato in Un ballo in maschera (Welsh National Opera). He also gave a concert performance of Pelléas et Mélisande with the CBSO conducted by Mirga Gražinyte-Tyla, and sang the Verdi Requiem at the Royal Albert Hall with the Royal Philharmonic Orchestra.